As every year from December 1st to 31st, there were so many interesting tracks that we saw born, so we wanted to share 20 exceptional tracks that deserve your attention. With more than a hundred tracks that we retained, it was a very complicated choice but only 20 were selected. There was the return of big bands with very exciting LPs and EPs but also some very nice discoveries. From there, you can listen to Gunship, The Midnight, Nina, Futurecop!, Color Theory, Jordan F and many other talented artists from all over the world. 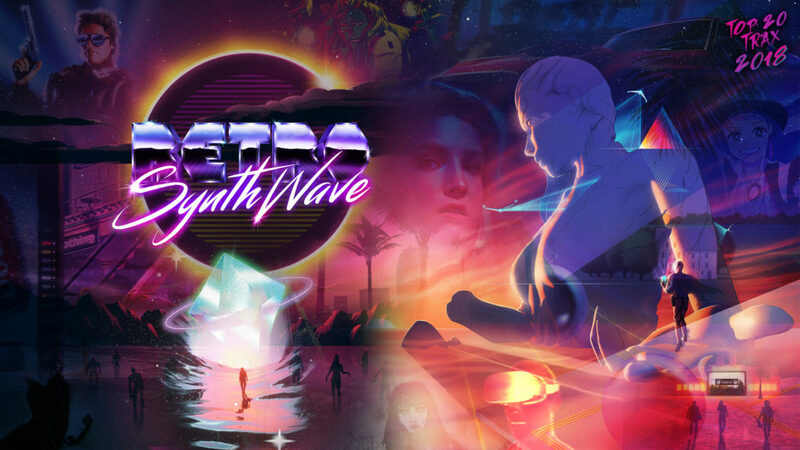 Wishing you a wonderful year 2019 with a lot of happiness and especially a lot of Synthwave music. Here we go! Loaded is a track from the Australian brothers Power Glove that was composed like a soundtrack for a comic book named The Weatherman, released on July 18, 2018. A pretty dark and melancholic ride, very effective aboard a full speed Testarossa. 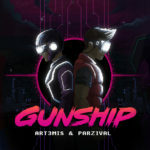 Woken Furies is a track of the mythical English band GUNSHIP, released on October 5, 2018. A track that transports us to another dimension from the first notes. A very rich Synthpop music with beautiful melodies and a powerful chorus. So good! America 2 is a track from the American band The Midnight, released on September 21, 2018. Directly related to the world of 80s movies and video games, the sound atmosphere reminds nostalgic images of our childhood. A fresh and delicious Synthpop! Sleepwalking is a track from the German singer/songwritter Nina with a composition of the Swedish musician Oscillian, released on March 16, 2018. 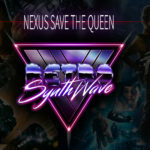 For the flagship track of her album, the Queen of Synthpop gives a hight performance of her wonderful voice with a very rich 80s music. Nostalgic and captivating! 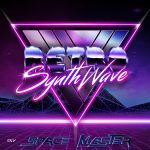 Viral Lust is a track of the American musician DJ Ten (NewRetroWave Boss) featuring Trevor Something who put his voice, released on March 30, 2018. With powerful retro sounds, a memorable main melody and a cosmic voice for an incomparable travel. Put on your virtual headset and let’s go! Helios Helas is a track from the French 3615 Nuits Blanches, coming from the EP named Confession Intime and released on June 28, 2018. An extraordinary French song with the sensual and melancholy voice of Antonine, decorated with a fantastic retro music composed by the virtuoso DOUZE. On My Way is a track of the German musician Rosentwig, released on March 3, 2018. A fantastic main melody, an arpeggiator with a magic sound and a catchy bassline for a very pleasant 80s atmosphere. A very fresh music to listen with highest volume at the edge of a beautiful beach of Miami. V.T.W.A. is a track of the American musician Lucy in Disguise in collaboration with the singer Laura Claire, released on March 2, 2018. From the first notes, the trip is instant to the 80s. With a fun Funk touch, the sounds are just perfect, the melodies are wonderful and the voice is so bewitching. A mythical track! USA Funk is a track of the German musician Action Jackson, released on August 27, 2018. 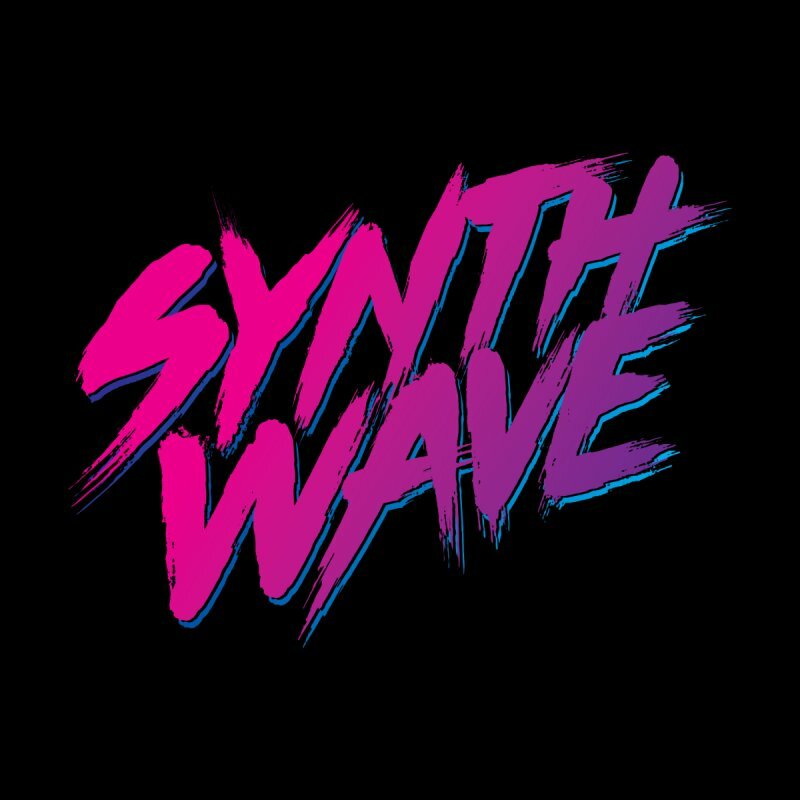 From the first notes of synth, we’re immediately projected to the 80s with a lot of images from action movies. The main melody is haunting and very catchy. The 80s sounds are ingeniously played. A true wonder, we want more! Sanctuary is a track of the Australian musician Jordan F, released on March 6, 2018. With great subtlety, from the first notes of the arpeggiator we’re instantly thrown to the world of iconic 80s films. The great sounds and melodies made a really really good track of 2017.We want more like that! Edge of the Universe (Morgan Willis Remix) is a track of the English musician Futurecop!, remixed by the Frenchman Morgan Willis, released on November 7, 2018. A very captivating song with full of finesse melodies. With an even more magical version of Morgan. Unbelievable! Classic is a track from the american Color Theory, released on September 14, 2018. The kindness of this song is just fantastic both in terms of voice and music. The very calm, slightly melancholy vocal gives a great feeling of nostalgia and the 80s sounds project us into hidden memories. Once again, bravo Brian! Hotel California (original by the Eagles) is a cover of the german musician/designer Rolly Rocket, french singer Shenwalker & italian guitarist Ultraboss, released on April 27, 2018 on Soundcloud. 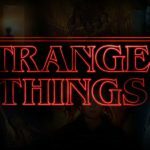 An impressive Synthwave version accompanied by the strong spirit of the mythical series, Stranger Things. Sara is a track of the American musician Protector 101 in collaboration with the English singer Le Cassette, released on October 31, 2018. A real New Wave jewel, dark and melancholy with a nice touch of modernity. Robert Smith and David Gahan had better watch out. High On is a track of the French musician Acidulé, released on March 16, 2018. It reminds 80s summers with a sun that hits the glistening bodies on Miami beaches. Typical retro sounds, engaging melodies for a festive atmosphere. A must! Miami Life is a track of the French musician M.A.D.E.S, released on March 6, 2018. As the name suggests, this track is very sunny and well represents the life in Miami at the time of the two best cops of the city, Sonny Crockett and Ricardo Tubbs. Push levers to full power on Florida roads! Elevate is a track of the English musician Emil Rottmayer, released on Septembre 9, 2018. A very well controlled arpeggiator and melodies with typical sounds of the 80s make it an emblematic track of the year 2018. A really good back in time! Azur is a track of the French musician Krosia, released on July 5, 2018. A truly engaging and enjoyable main melody with quality sounds for a magical atmosphere. From the first moment, the 80s charm comes and transports us to the best moments of our childhood. Masterful! Take off! is a track of French musician A.L.I.S.O.N, released on May 12, 2018. What could recall some Deadmau5 productions at the beginning turns into a beautiful journey to the beauty of the 80s with an effective and catchy main melody. 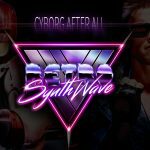 A great Synthwave track, bravo! Beyond is a track of the Belgian musician Voyage, released on February 9, 2018. A subtle and mysterious start to delicately reveal a memorable main melody that makes us pass the wall of time. Another beautiful sound trip to our beloved Eighties. Retro Synwhave wish you a HAPPY new year. Don’t forget to dance and have fun! 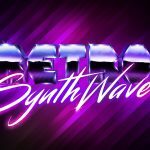 1 comment on "TOP 20 Synthwave Tracks of 2018"
So honored to be included in this list! Your composite album cover piece is fantastic!